only a short time ago, in December 1997 I decided to try smoking a Pipe. 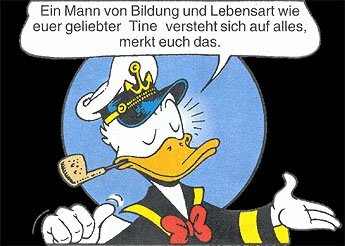 I realy got hooked on PIPES and PIPETOBACCO the day after. I'm not a professional right now because for lack of experience, but I keep on working on that. I love the relaxation of smoking a Pipe after hours of stress or work or even sport. I like to look at my Pipes and to search for others. Exploring new tobaccos and tastes. As I am an Architect I like the design and what's possible in workmanship. During a smoke I like to play with the Pipe and feel the surface and shape of it. That keeps me happy and gives me time to think about my new plans. Here is a sample of my Pipes and Pipeequipment! click on the pipeicons to see the sortiment in better quality ! TREVER TALBERT PIPES (USA) ! TOM ELTANG PIPES (DENMARK) ! KURT BALLEBY PIPES (DENMARK) ! LARRY ROUSH PIPES (USA) ! CORNELIUS MÄNZ PIPES (GERMANY) ! WOLFGANG BECKER PIPES (GERMANY) ! RAINER BARBI PIPES (GERMANY) ! TEDDY KNUDSEN PIPES (DENMARK) ! PETER HEESCHEN PIPES (DENMARK) ! POUL ILSTED PIPES (DENMARK) ! JESS CHONOWITSCH PIPES (DENMARK) ! SER JACOPO PIPES (ITALY) ! MY OWN MADE PIPES (AUSTRIA) ! Comming soon on this site !!! 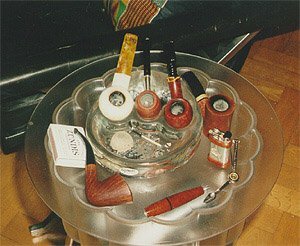 pictures and text from my own collection Meerschaum pipes ! Various Pipes (all over the World)! Nording, Stanwell etc..... Pipe Equipment various pipetools and other equipment! And after a hard days work --- sit down and relax ! on the left: view of my pipetable after a hard days work and a relaxing tobacco testing session !! always wanted to know how I look like ! !